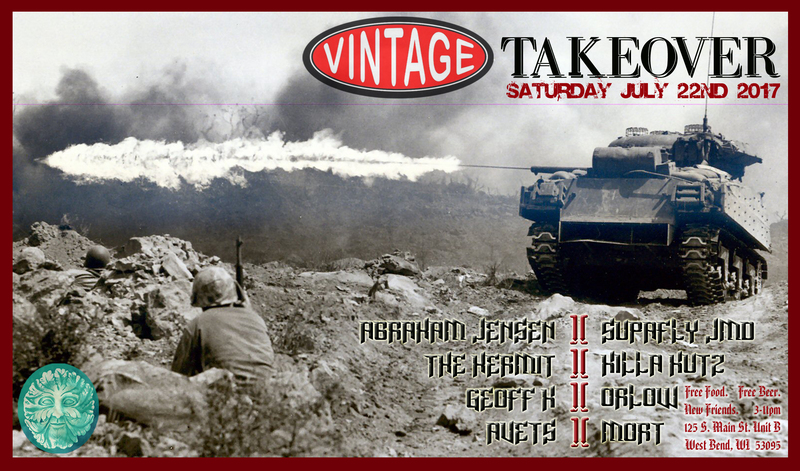 Live recording of The Hermit’s set for Vintage Takeover – Last Call @ Vintage Records and Collectables in West Bend, Wi 7-22-2017. This entry was posted on July 23, 2017. It was filed under House, Vintage Takeover.